Sibetan Village, which is famous for its salak, is located in Bebandem District - about 83 km from Denpasar or 15 km from Amlapura Karangasem Regency. Salak as one of the export commodities that is in great demand because it has many benefits for health. 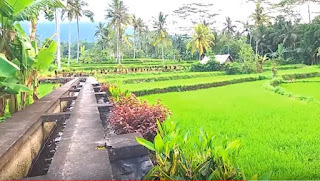 As one of the tourist destinations in Karangasem, Sibetan Village offers panoramic views (agro tourism). Sibetan Village is located at an altitude of 400-600 m above sea level, with an average temperature of 20º-30ºC. The average rainfall is 1,567 mm-20,000 mm per year. About 81.12% of the Sibetan area, which is 1,125,000 hectares, was converted into a salak garden. Thus, around 14 varieties of salak vegetation can be found in this area. 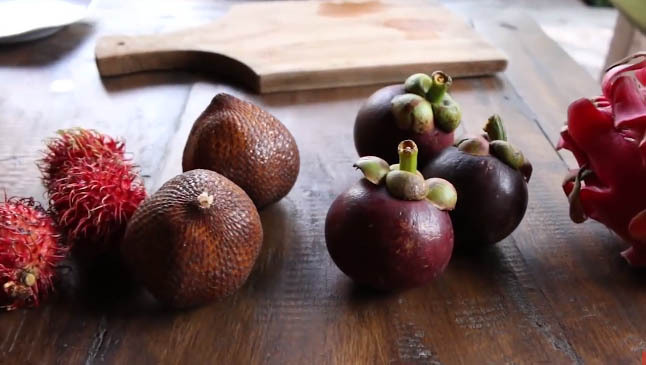 Tourists can watch the salak harvest process including marketing. Aside from being a center of salak, Sibetan is also worth visiting because of its uniqueness and culture and traditional village dances, such as genjek and angklung. This amazing place is one of beautiful gardens for your family tours. To enjoy the natural beauty of this area, visitors can take part in trekking activities which will be guided by local tour guides.